Gold medallists in Women’s Team Class 1-3 at the Rio 2016 Paralympic Games and the reigning World champion, China’s Li Qian emerged the major casualty on the opening day of play, Wednesday 18th October, at the 2017 Thailand Para Open in Suphan Buri. 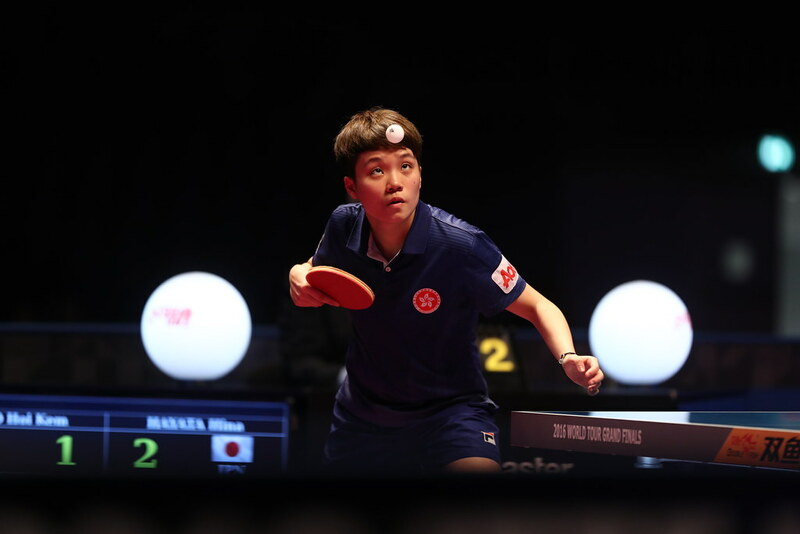 Competing in Class 2-3, she was beaten by Korea’s Lee Migyu; bronze medallist in Women’s Team Class 1-3 alongside Seo Suyeon and Yoon Jiyu, at the Rio 2016 Paralympic Games. Li Migyu emerged successful in four games (11-8, 11-7, 9-11, 12-10). Defeat for Li Qian but it was her only reverse of the day; she concluded matters in second place in the group and thus advanced to the main draw. Lee Migyu remained unbeaten to top the group. In Para tournaments where there is qualification and a main draw, players finishing in first and second positions in each initial phase group advance to the knock-out rounds. Problems for Li Qian but second place the group, it was the same for four more notable names in the Women’s Singles events. Bronze medallist last year in Rio de Janeiro, Josephine Medina of the Philippines, the no.2 seed in Class 8 and the host nation’s Wijittra Jaion, the third seed in Class 4, alongside Chinese Taipei’s Tian Shiau-Wen, the top seed in Class 10, all experienced unexpected defeats at Chinese hands. Wijittra Jaion was beaten Gu Xiaodan (11-9, 11-8, 11-9), Josephine Medina suffered at the hands of Yu Hailian (11-8, 11-5, 11-1), Tian Shiau-Wen lost to Zhao Xiaonjing (9-11, 11-8, 11-9, 11-9). Success against expectations for China, also in Class 10, there was a surprise defeat; Hou Chunxiao, the no.2 seed experienced a reverse at the hands of Japan’s Nozomi Takeuchi (11-8, 11-9, 7-11, 11-6). Unexpected wins, the day completed unbeaten by those who had caused the upsets; in all other instances the highly rated ended the day unbeaten, China being very much to the fore. Top seeds, Xue Juan in Class 2-3, Zhou Ying competing in Class 4 and Mao Jingdian on duty in Class 8 ended the day with first place in their respective groups duly secured. Similarly, in an all-play-all Class 9 event, Xiong Guiyan concluded the day with an unblemished record. A most profitable day for China; it was the same for Jordan and Russia. In Class 5, for the former, Khetam Abuwad ended with first place in her group reserved, as in Class 6-7 did the latter’s Victoriya Safonova. Play in the Women’s Singles events concludes on Thursday 19th October.